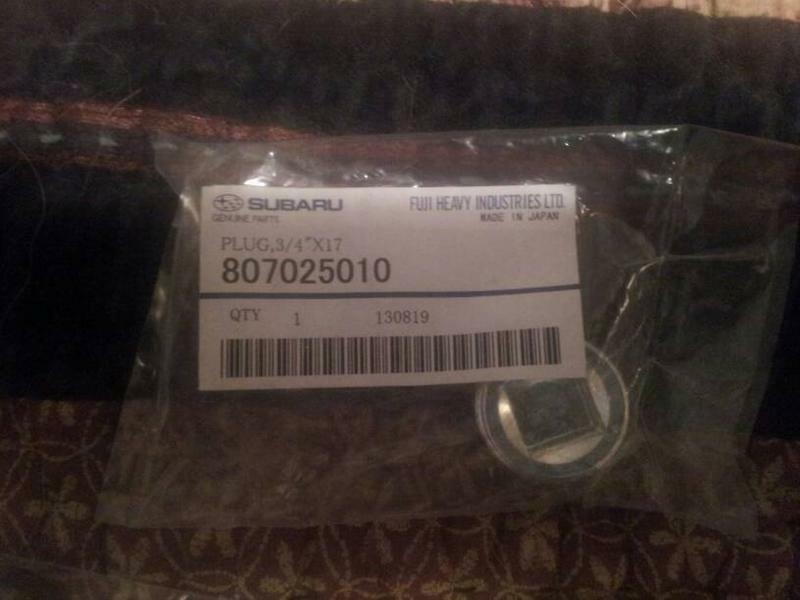 If your anything like me, you hate trying to find Subaru part numbers when ordering. 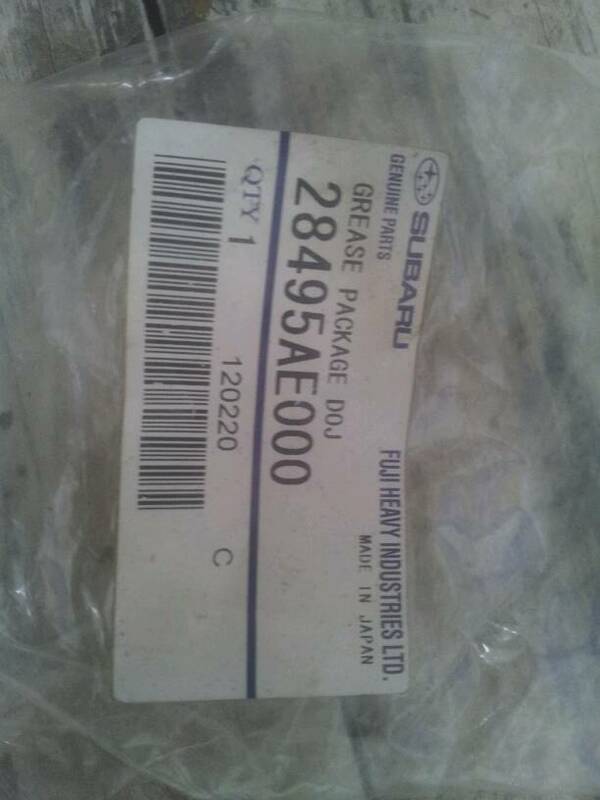 The purpose of this thread is to list commonly replaced and used Genuine Subaru parts and their respected numbers for easy reference. This thread will be a continual work in progress so be patient and understanding. Always double check your number and application before purchasing. Subaru is continually changing part numbers and one part may fit many different applications. I only want to list numbers and fitment you are absolutely, 110% sure is correct. 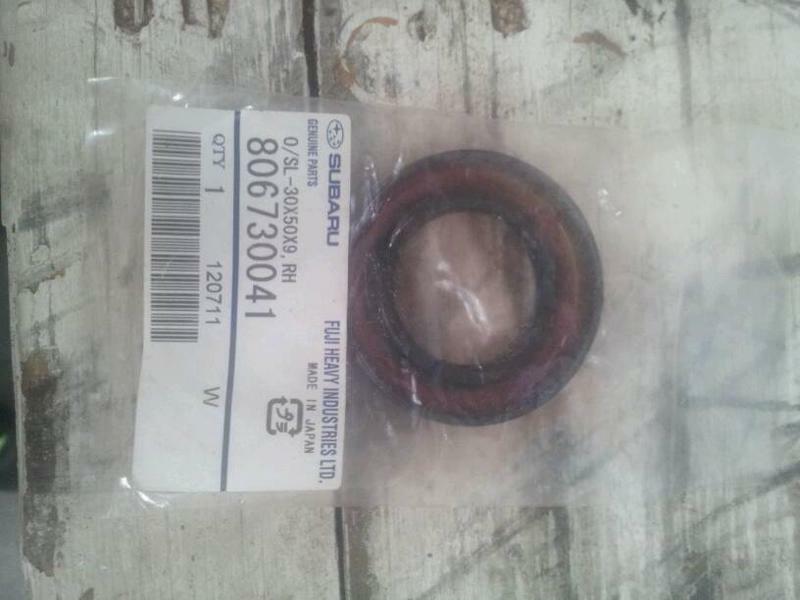 So if you bought a gasket for your 07 wrx but think it will fit all 02-07 WRX and STI don't say it will unless you have confirmed it in a legitimate way (online part number search, personal experience, exct...). If you have a contribution you can post it in the comments and i will add it to the origional post or you can message me or maybe a mod if they are willing to help upkeep on this. Look to make sure it is not on the list before contributing in a effort to avoid double post. If you see an error or know a part is confirmed to fit something else then please share. Do not use this thread as a parts bible. Use it as a general reference and starting point on hard to find numbers. Timing belt tensioner: Confirmed on 2002+ WRX, 2004+ STI, 2005+ Legacy GT, and 2004+ Forester XT. The Subaru Part # for this Heat Treated Crank is 12200AA330, superseded from the 12200AA430 which was Nitride Treated. Crankshaft: This is the OEM Crankshaft that came in the 2004 - 2005 Ej20 WRX. The main difference between this, and the earlier Crankshafts is that this one came cross-drilled from the factory for better lubrication. This crankshaft has a stroke of 75mm, and the thrust bearing is in the 5th position. EJ257 case halves (empty): The case is the same on all USDM STI's from 2004 - 2010, and is also the same block found in the EJ255 engine found in the 06+ WRX and 05+ Legacy GT. Water pump: Please note that this is only for the 2008 - 2014 WRX because it does not have the outlet for the factory oil-cooler. Long bolt for small idler pulley: This the bolt that attaches the small idler pulley for the timing belt on the Subaru EJ series engines. From 2004+ the small idler pulley was re-designed to incorporate 2 bearings instead of 1. This vastly improved the small idler pulley's reliability, but it requires a longer bolt. 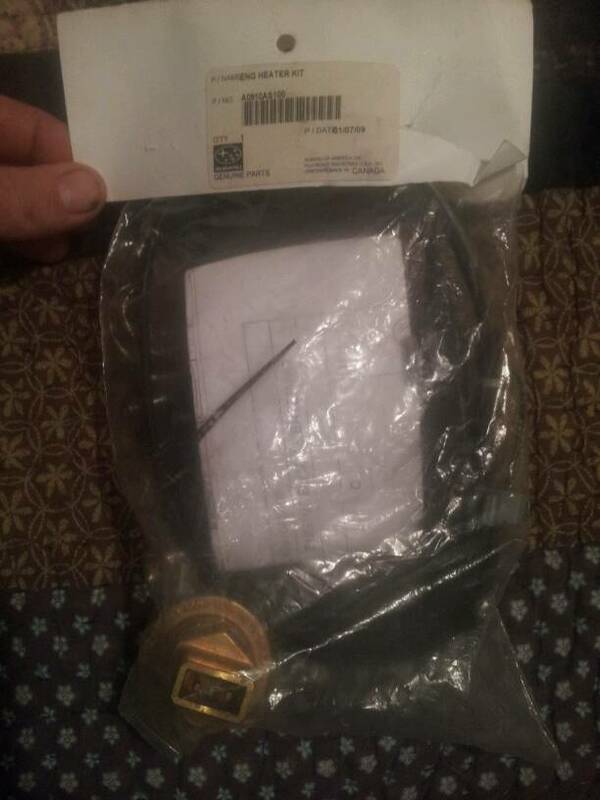 This is that bolt.If you are up-grading the small idler pulley on your 2002 - 2003 WRX to the newer 2004+ small idler, pulley, this is the bolt that you will need to make that work.This is also the bolt you will need if you are using the 2004+ Gates Racing Kit if it is for a 2002 - 2003 WRX. REAR ENGINE RE-SEAL KIT: This kit includes everything you need to reseal the whole back side of the motor, which you have access to during clutch installation. Fits most turbocharged Subaru engines. 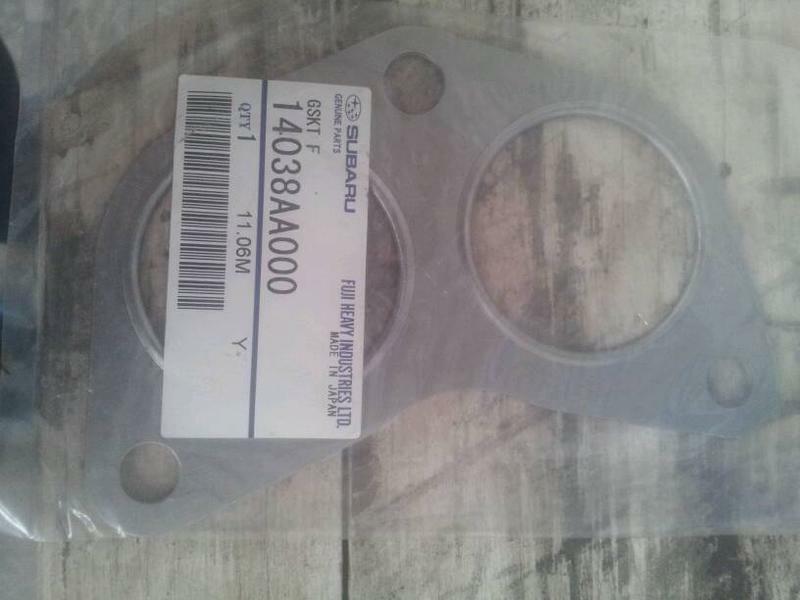 Master gasket kit WRX: There are different kits depending on the year of your car, so please make sure you choose the correct year.Please note: The year splits are not set in stone, so if you are unsure which kit you may need, please verify with your VIN. 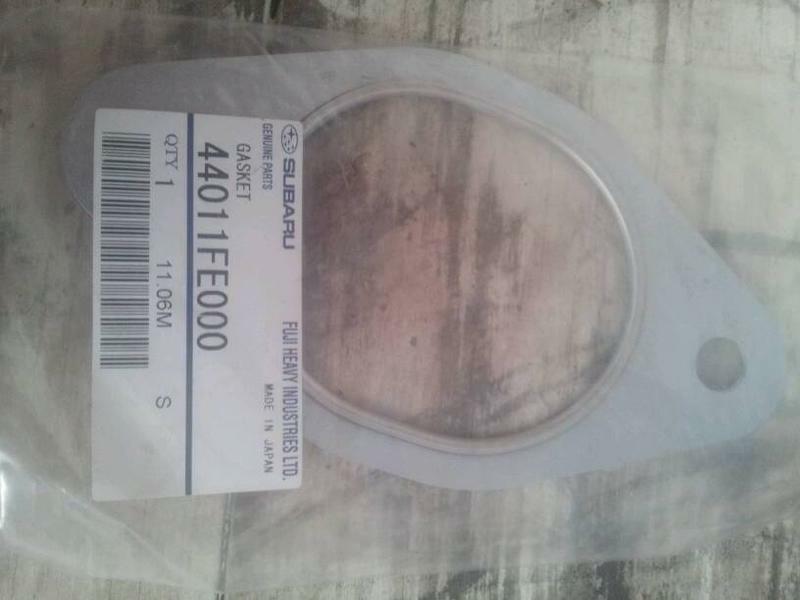 EJ257 master gasket set: Depending on what year STi you have, you will need one of three versions of the Master Gasket Set for the STi. The year cut-offs are not set in stone, so if you are not totally sure which version you need, just check with the last 8 digits of your VIN number and you can figure out which version you need. If you are not sure which seal you need, here is a list of the most common applications. Fuji bond:Subaru has two proprietary Silicone Sealants that they recommend for all required applications on Subaru Engines and Transmissions. They are called Fuji Bond, and come in either a gray, or orange. Orange Fuji Bond is the most common, and is recommend for any surface that is in contact with oil, such as an oil pan, etc.Gray Fuji Bond is not used as much, and is used for more specific applications. Bushing: . This will fit in all models of the 2002-2007 Subaru Impreza. These are the bushings in the "dogbone" in the rear diff / subframe.This bushing pair came on the STi models, but will fit in the other Impreza models. It will lessen the slop in the subframe and make the car more responsive during aggressive driving. The bushings would be a worthwhile upgrade or a worthy replacement! Last edited by boo-key; 08-24-2016 at 10:24 AM. Last edited by boo-key; 12-12-2015 at 12:59 PM. I have a ton more but, no time today. I'll put more up later. Because pictures can be helpful also. If anyone needs help finding a part or part number, i can look them up in subarunet for you guys. All i need is last 8 of the VIN. I can order any factory parts and ship most of them depending on size. PM me with any questions!! boo-key and LW_Black4 like this. Last edited by BLAZE2099; 11-05-2014 at 05:49 PM. And after Chris finds your part please report back to this thread so we can add it to the list. I've had him look up many of parts for me that I couldn't find. I probably owe him a beer or two by now. He always come through with what your looking for! Thanks Chris ! Once I am caught up on adding parts, I'll start rearranging them in some sort of order. I should of thought about that when I started....DOH! It will be a continual work in progress. Don't let the name fool ya! My car was tuned running the tears of babies in the fuel tank, who cried after hearing my EWG . I changed the layout of the original post. Should be a lot easier to find something. Easier than the jumble of random part #'s it was. Let me know what you guys think and any suggestions you may have. Im still working on it. Where they at Randy? I've been hard at work over here and your slacking! I might be biased but, I vote to sticky this @mosc !